Old age comes to us all and it will be entirely up to us how we spend it, struggling to get around or still active, the choice is yours. 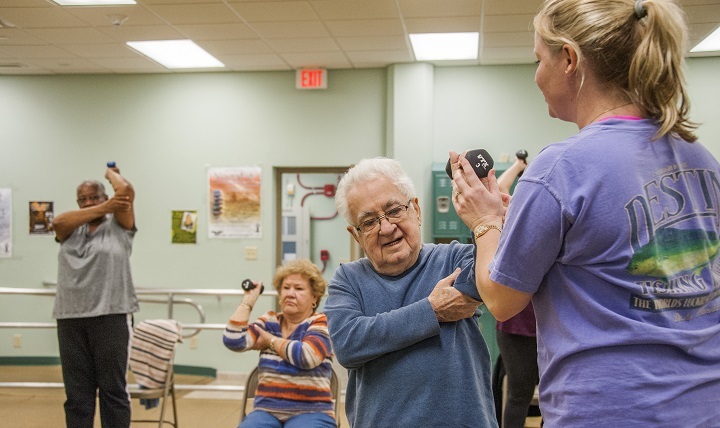 Everyone understands the importance of a healthy lifestyle but as old age approaches, we must pay particular attention to our body and our limitations, in order to make sure that we stay active for longer. Anyone above the age of 70 should be looking to alter their lifestyle to adapt to their bodies, and here are some tips on how to do it. Normal rules around exercise don’t exactly apply to the elderly and whilst they should definitely remain as active as possible, it is important that the activity is light. So instead of circuit training or going in for a kettle bell session, older bodies simply need an exercise that will get them moving and get the blood flowing, a brisk walk or a gentle cycle will be enough to stay fresh, and avoid causing any injuries. Making adjustments around the home for example, are not just there to help you get around, but they can actually help you to stay that little bit fitter. For example maybe getting a stair lift fitted could help you to get up and down stairs without too much stress, this will help you in preserving your strength and energy for the rest of the day. These types of gadgets are not only about helping your mobility, but they can also help you to stay sprightly for longer. From a cosmetic point of view, looking slim and energetic may not be as important to you as it once was, but through eating well, you can help your body out a great deal. Consuming too much fatty foods can have a direct impact on your energy levels, as your body will not be able to break them down like they used to. Make sure that you are eating lots of fruit and vegetables, and avoiding too much fat, in order to keep that spring in your step. The mind is as important as the body when you reach old age and staying sprightly is as much mental as it is physical. In order to keep your mind fresh and sharp, you should be looking at trying new things and looking for challenges that will test you. This could be anything from a new hobby to filling out crossword puzzles, anything which will test your brain and make you think. Never underestimate the power of a good conversation to keep you looking healthier, younger and have more energy. Loneliness is something which unfortunately happens to many older people, and it can cause significant issues with overall health and well being. If you are not living with someone then look for ways in which you can meet people such as clubs or centers. Just because old age has kicked it, does not mean that you should slow down too much, follow these tips and stay as sprightly as possible.